Olivia handed him the sunscreen bottle and knelt. He lightly kissed her nape before drizzling the lotion over her back. 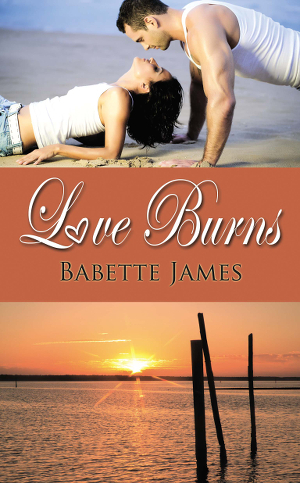 He smoothed both hands along her spine to the cleft of her bottom and to her hips, gliding, sliding, over waist, ribs, shoulders, and neck, turning the simple sunscreen application into a sensual massage. Her sigh escaped as a dreamy groan. “Turn around.” His low, husky voice drew a deep shiver through her core. Bright sunlight glowed through her closed eyelids. Cool touches of lotion brushed her face and throat, and she shivered under his delicate touch.